Moving to a new place? Overwhelmed? Stressed? Relocation is exciting but taxing. It involves lot of planning and cannot be taken lightly. There is lot of time, effort, hard work and patience involved. Despite all hard work and pains what if the move was not pleasant? Our movers Bentleigh will contribute the most in a hassle-free move is the perfectly packed stuff. Hence, for a smooth and stress-free shifting, it is always better to hire professional moving services in Bentleigh. 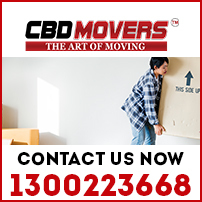 CBD Movers™ is a professional and the top removals companies in Bentleigh. We offer all kind of moving solutions. Our highly-trained team of experienced and approachable removalists helps you experience a hassle-free move. We have huge line of trucks and vans well equipped to suit your specific needs. Our team of experienced removalists Bentleigh helps you not only in packing and loading, but also in unpacking and organizing the furniture and belongings at your new place. 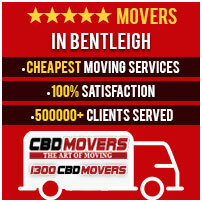 CBD Movers movers team in Bentleigh is highly skilled to handle any type of relocation. We are equipped with all sorts of tools and equipment required to execute a flawless moving. We understand that no two customers are same and have different moving requirements. Thus we offer comprehensive moving and removals solutions in Bentleigh. Our ‘Two Movers and a Truck’ team is amongst the most popular moving services and can move your stuff with no damage. 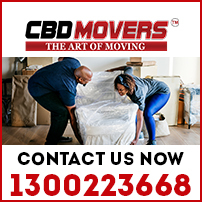 CBD Movers is a perfect choice for any sort of moving solution in Bentleigh. We help you to bring all your goods safe to your new destination. Our movers staff members are well trained, specialized and well known for their expert services in Bentleigh and all Melbourne suburbs. We use quality packing materials to pack all the items to avoid any kind of damage in transit. We also take extra precautions to load and unload all your goods. CBD Movers is a well-established organization undertaking comprehensive moving services in Bentleigh. A highly-trained removals staff, fleet of high-end trucks and supportive tools are our assets. We are known for our top-class removalists services at affordable prices. Our aim is to have happy and satisfied customers and we focus on easy, quick and smooth move. For added security, we also offer transition insurance. All our operations are transparent with zero hidden charges. Bentleigh, a suburb of Melbourne, Victoria, Australia, is about 13 kilometers from the Melbourne CBD. It is part of the City of Glen Eira and is spread over an area of 4.7 square kilometers. Known for its beautiful parks, memorial garden, large supermarkets, cafes and restaurant, Bentleigh is a comfortable place to live in. Currently, Bentleigh is home to almost 15,000 people. At CBD Movers, we are committed to provide outclass removalists services in Bentleigh. We have a team of thoroughly trained, strong young men and experienced specialists. We provide safe and reliable moving solutions at very reasonable rates. So, if you are moving a house or office, give a call to us on 1300 223 668. We promise to offer the most reasonable and competitive quote. CALL US NOW !!! !